Hey people! This week I made a new friend and I’m dying to tell you guys about her. Meet Aravani! She was born a man but she says she is a woman inside. Aravani was born named Aryan but she renamed herself after she came across the Aravanis of Tamil Nadu. 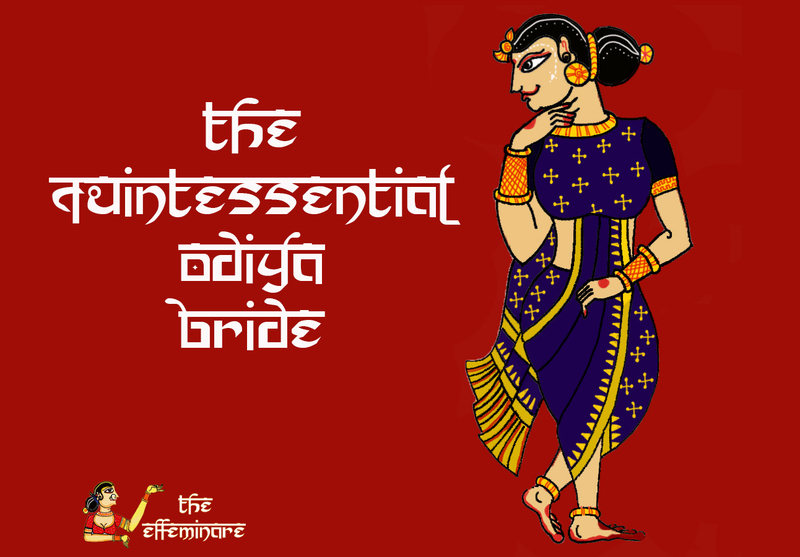 The transgender brides of Lord Aravan are called as Aravanis who mourn the death of their husband the day after they get married to him. 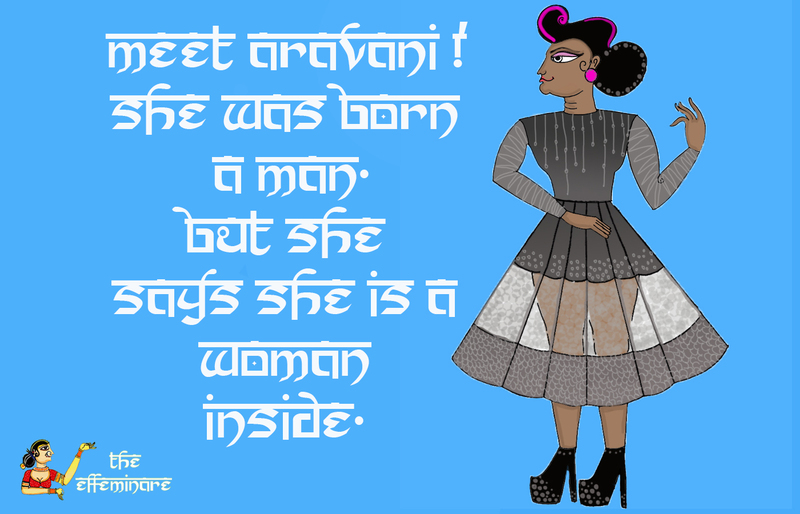 There is a long story to it, which Aravani will unveil in the coming days and so you’ll have to keep up with her. Stay tuned. Meanwhile IIIT is bustling energy and tension as the annual tech-fest Esya is finally on. Got myself a pair of super-high heels which make me 5’11 and I’ll be posting a picture soon. 😉 Anyways, do keep up with all the work I will be posting in the coming days. I am a little occupied with all my assignments and an internship, but I’ll definitely make time for some interesting stuff I have in mind. Paws up!